There are few things that tell as much about who you are as person as the books you choose to display. What some may consider a simple aesthetic choice, is carefully thought out by others as a collection of memories or a testament to the kind of people they'd like to be. It's a beautiful thing, really, to share who you are without even having to open your mouth. 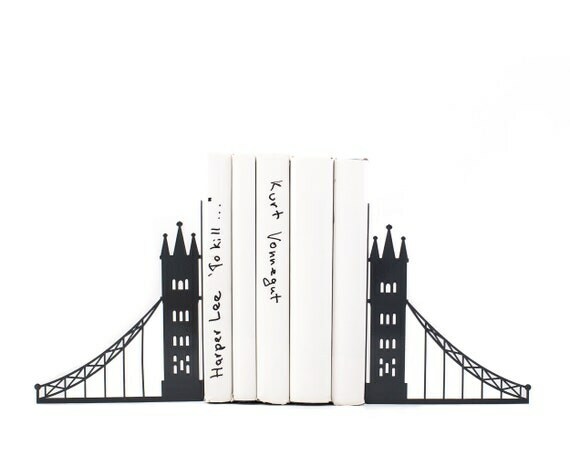 But unless you have enough books to fill entire bookcases or shelves — if you even have one at all — you'll probably need bookends. 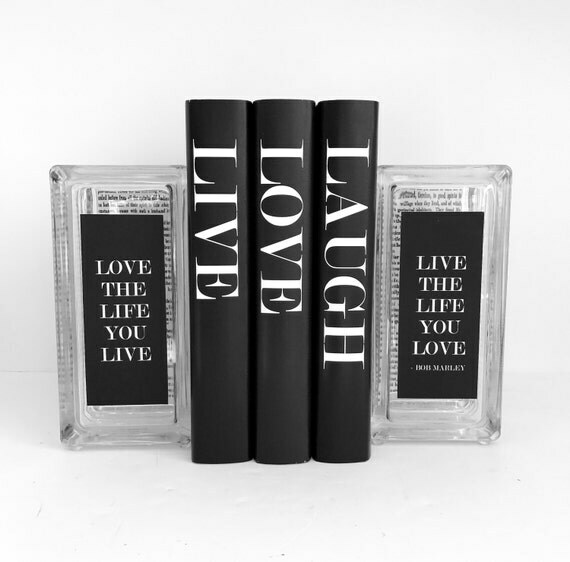 They're hard to go without, since bookend-less books have a tendency to stay messily tossed around wherever or to go into storage and never return. While it can feel like another annoying purchase, it can be fun to shop for and can make your space feel more comfortable and representative. 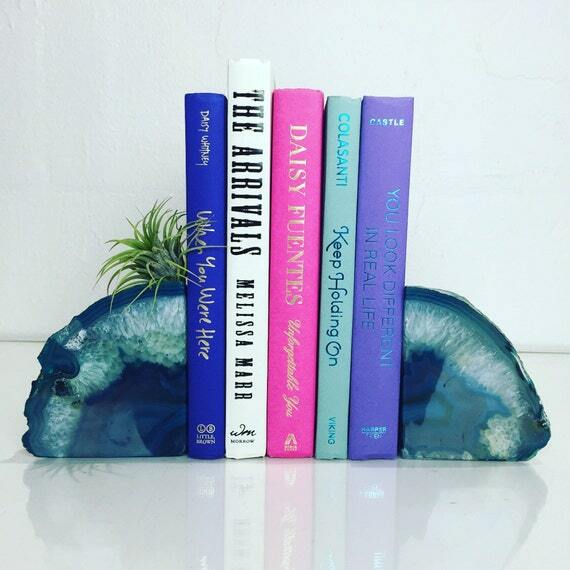 Hopefully, some of the bookends below will inspire you. 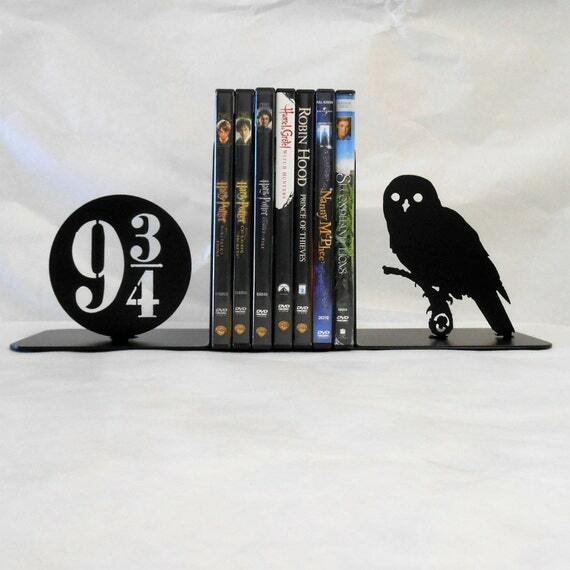 These bookends are not the cheapest in the world, but they're certainly unique. 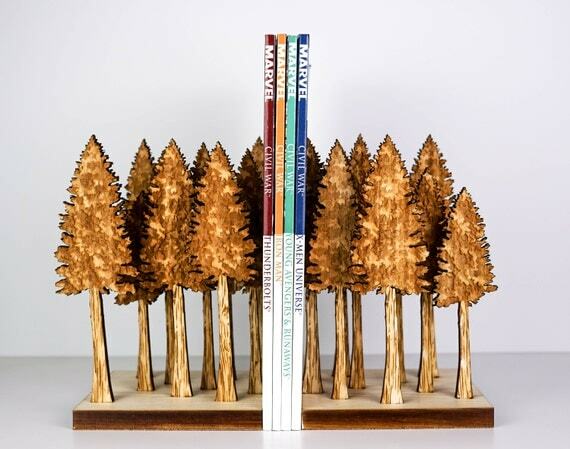 You don't have to spend this much money to have a nice book arrangement, though seeing which among these you like may help guide you to one you like even better. At the very least, consider this harmless, commitment-free, window shopping. 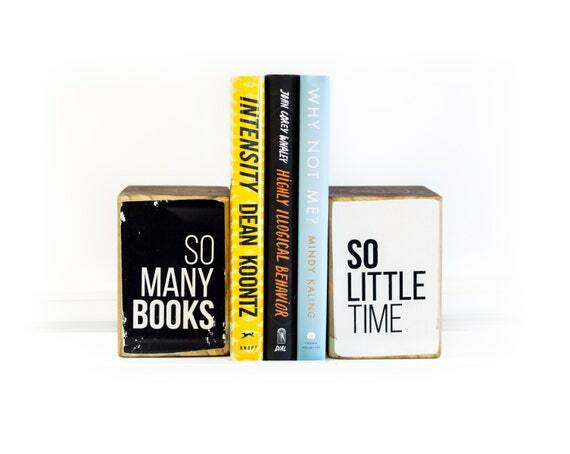 The motto of book-lovers everywhere. 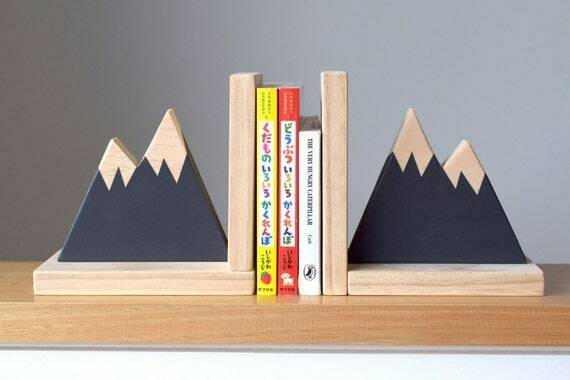 These beautiful bookends will make your books pop. 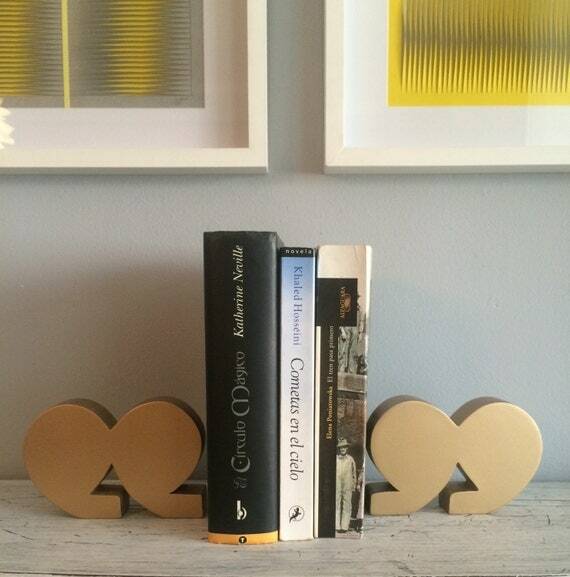 A nice accent for any office or workspace. 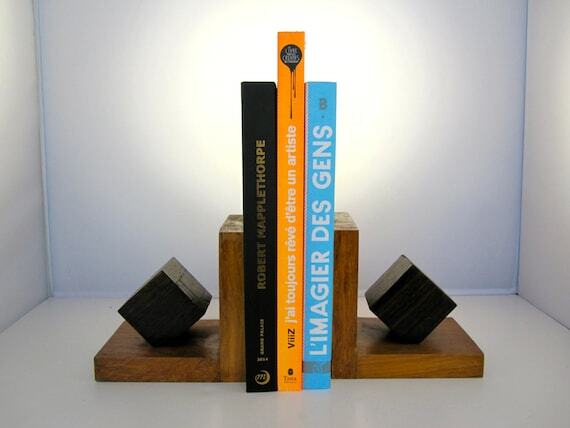 Beautiful bookends that will get the job done. For extra style and flair. 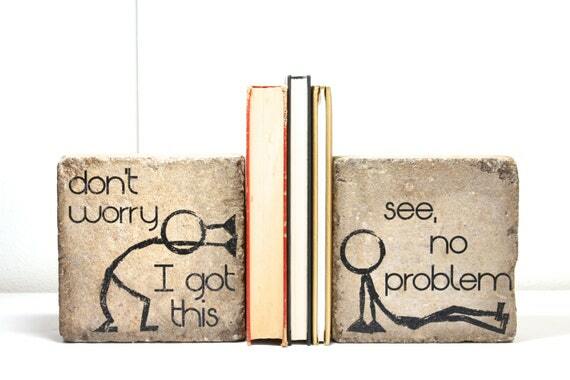 Add a little cute humor to your books. 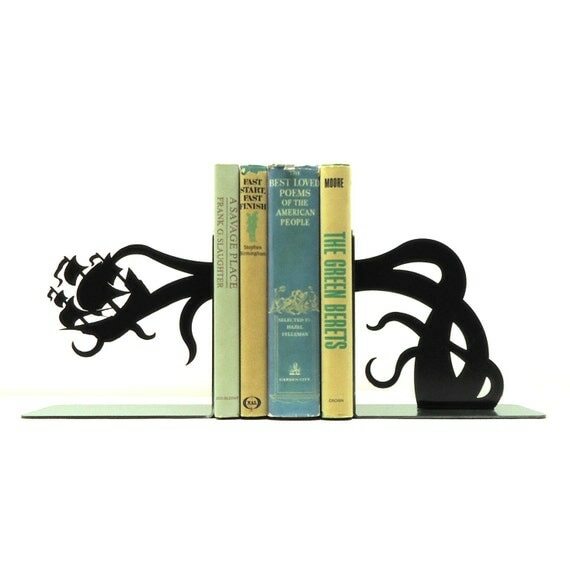 If you want your bookends to be art.